Unemployment is a huge issue in this country. Even though the average unemployment rate in the U.S. has decreased to 4.9%, I’m skeptical that it’s improving for all generations. According to Market Watch, about 40% of millennials are unemployed, with the worst being candidates ages 21-24. Meanwhile, 44% of recent college graduates are struggling to get by in dead-end, low paying jobs. Given the large amount of student loan debt some millennials carry, obtaining a stable job that pays well is not only a desire, it’s a necessity. While certain situations like being laid off can’t be prevented or avoided, millennials have more power over obtaining gainful employment than they may think; especially if they have a college degree. 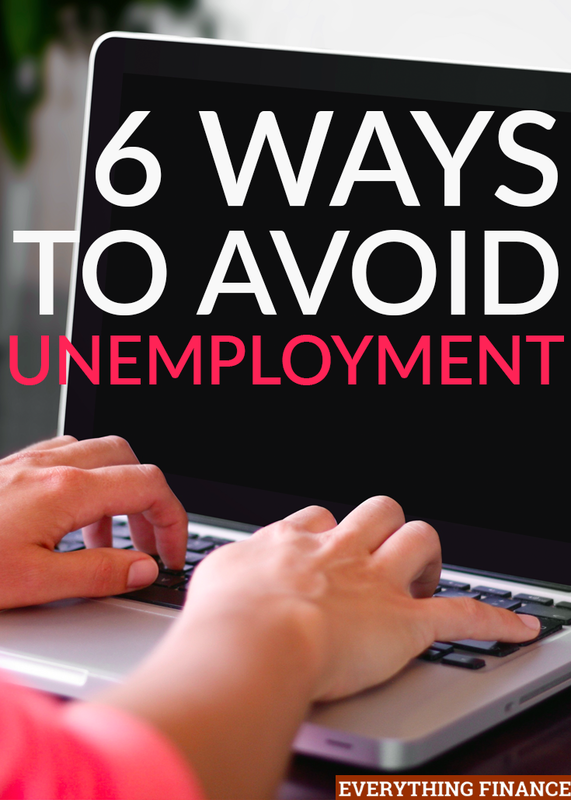 Here are 6 definite ways to avoid unemployment for long periods of time. Networking is important for everyone and can be crucial to your professional success. Some jobs will come to you because you know someone who referred you or works there. That’s nothing new, and it’s quite accurate seeing as how some employers don’t even advertise job openings and prefer to take referrals. Going to local career fairs in your field is a great way to network even though they may require a small fee. You can also search around for groups that meet your interests. Look for networking events either in your town or at your old college or university that are career-minded and geared toward people in your age group or industry. If networking scares you or makes you feel uncomfortable, try to get past your fears by bringing a friend with you for support. Meeting new people and building your network not only allows you to establish a strong relationship with successful people, it will open the door to new job prospects you never would have known about. Establishing internships is another important part of ensuring that you won’t stay unemployed or underemployed for months on end. Employers are more likely to consider entry-level candidates who have an internship or two on their resume. The workplace is much different from the classroom, so it’s important to obtain at least one internship by the time you get ready to search for full-time employment in your field. Get all you can out of the experience. While a lot of internships are unpaid, that doesn’t mean you can’t obtain one that does pay. If you recently graduated college, you’ll probably be more interested in a paid internship anyway. You can search for internships by asking different departments at your college or university, reaching out to places you’d like to intern at directly to see if they have a program for it, and checking out some of these websites for leads: Internship.com, InternMatch.com, Idealist.com, Experience.com, and SimplyHired.com. When you land an internship, focus on building a positive relationship with your mentor and the other people you work with and exceed their expectations. That way, you can leave with plenty of experience, work samples, and recommendations. Don’t just bring your resume out when you are actively searching for a job. Or worse, don’t put off creating a professional resume until you need to find a new job. You should get into the habit of updating your resume every 3-6 months. Make small updates to enhance it so you can be ready when you fill out an application or a potential employer asks for it. Be sure to include a clear objective on your resume and feel free to alter it between positions you apply for. It’s always best to get a second opinion on your resume as well. Ask a friend, family member, or mentor to look it over and offer and suggestions. Also, call your local library to see if they have any upcoming resume writing workshops. These free events help members of the community learn how to correctly draft an effective resume, and may even include a review of what you have so far to help you restructure it. Just as you network in person, you should always be networking online as well. Networking online is easier (in my opinion) and requires little effort, but can result in big rewards. Start by connecting with people you know or know of on LinkedIn. Your LinkedIn profile can also serve as an online resume and portfolio, especially since many recruiters use this platform to find job candidates. If a company you follow or an educational institution is hosting a free webinar that interests you, sign up, take notes, and interact with the host and other members of the audience to build some connections. You can also comment on blog posts from companies you admire and interact with other professionals in your field on Twitter. The key is to try to meet new people and build some common ground with them. Don’t always think about what title someone holds or how they can help you. Just start by establishing a genuine connection whether a new job comes out of it or not. One thing I see a lot of people do when they land a new job is get stuck on it. If you are currently employed, love your job, and feel very stable with it, you might not want to spend your free time applying to other jobs. However, at the very minimum, you should keep your resume and LinkedIn profile updated and continue to grow your network by meeting new people. You never know what may happen. If you aren’t crazy about your job, or really dislike it, create a plan to establish a new job without having to experience a lapse in your income if you have to leave your current job earlier than you expected. Start searching for jobs and send out applications a few times each month depending on your situation. The hiring process can take weeks, so it’s best to start as early as possible if you don’t want to be unemployed. If you go on interviews, use it as a learning experience regardless of the results. One of the best ways to ensure that you always have some income coming in is to establish a profitable side hustle that you can do in your spare time. Whether you like to write, work on computers, take pictures, or create custom crafts, consider monetizing your talents by selling your products or services on the side of your main job. Diversifying your income is a must in today’s society because the longevity of job security is just not there anymore. To avoid feeling overworked, it’s important to keep your side hustle hours to a minimum if you intend for it to only bring in additional part-time income. Even if you are working 5-10 hours per week babysitting or detailing cars on the side, the extra income stream you generate will help protect you from the financial burden of not having a job. Have you ever been unemployed before? How did you handle it? Are you doing anything specific to avoid becoming unemployed, or have you developed a financial backup plan?